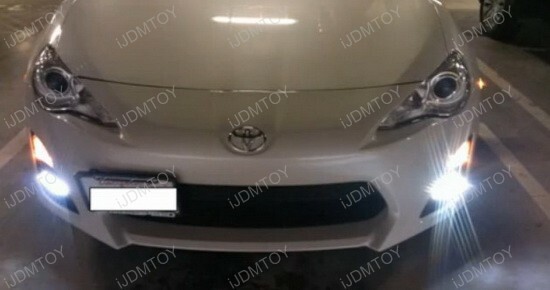 You can find this product under Scion FR-S LED Daytime Running Lights (70-728). 1.) 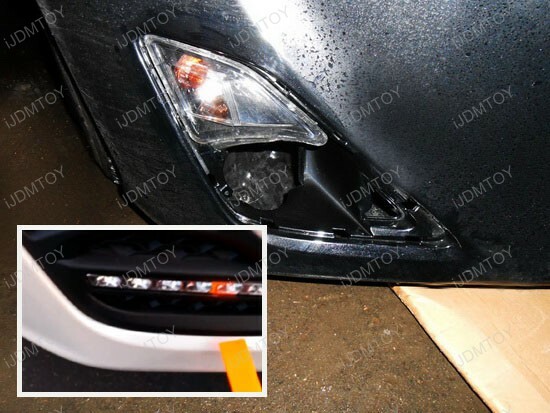 Remove the existing plastic bezel that the vehicle currently has on right now by pulling out the piece. 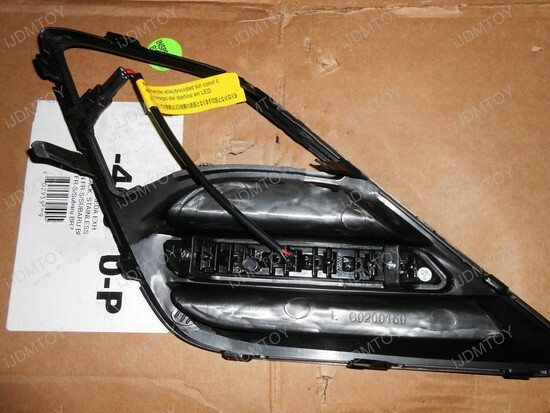 The entire bezel assembly is held on by clips, we recommend using a trim removal tool so that you do not damage the vehicle or assembly. Insert the trim removal tool into the edge of the bezel and bumper and pull with your fingers, it should pop off with relative ease. Repeat the same procedure on the other side. 2.) 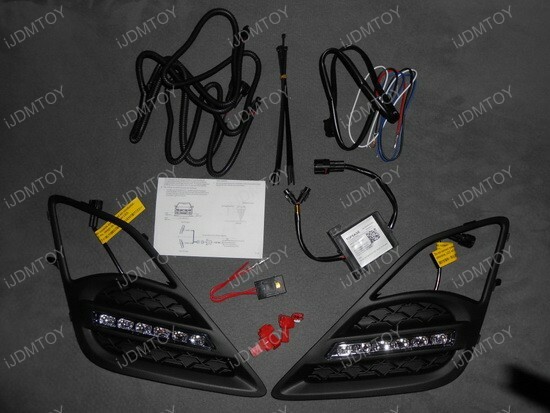 Using the long loom of wire, route the two ends that connect to the DRL lamp to both sides of the vehicle through the engine bay (have the short end of the wire loom on the passenger side). Route the wire through the opening where the OEM bezel used to be. 3.) Connect the other end of the wire from the DRL to the harness that was routed through the OE bezel and install the new assembly. The new assembly should pop back in just like stock. 4.) Connect the module box/controller to the wire loom and mount in a safe and dry location inside the engine bay. 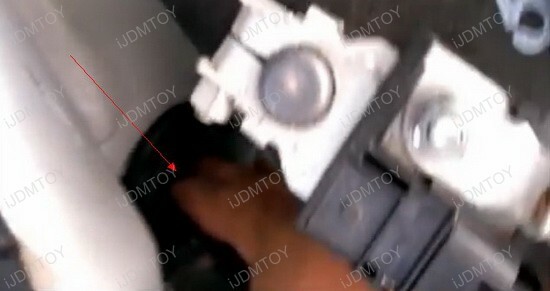 Connect the BLACK wire to the ground wire location next to the battery circled in red. 5.) Disconnect the fuse from the RED wire and route the wire through the firewall through the black grommet found behind the battery. 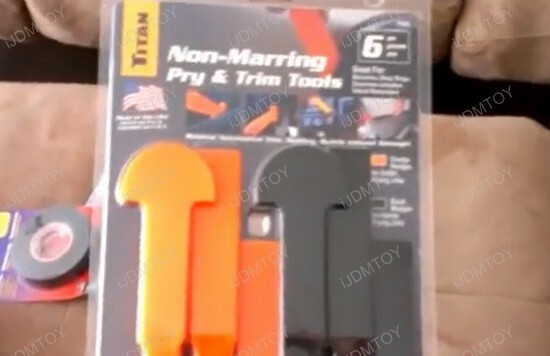 Using the long tool indicated in step #2 will help with guiding the wire through the grommet to inside the cabin. 6.) On the passenger side seat, remove the glove box completely and set aside. The compartment should be held on by a guide on either side, push those in and it should drop down. 7.) 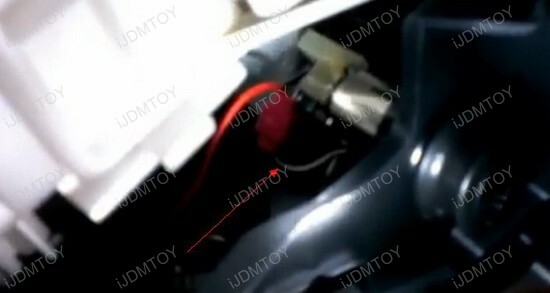 Guide the red wire from near the bottom of the passenger side dash to the WHITE wire from the cigarette lighter. This is a very tight spot, but it is the closest accessory wire available that can be accessed. Use the supplied quick-taps to make the connection. 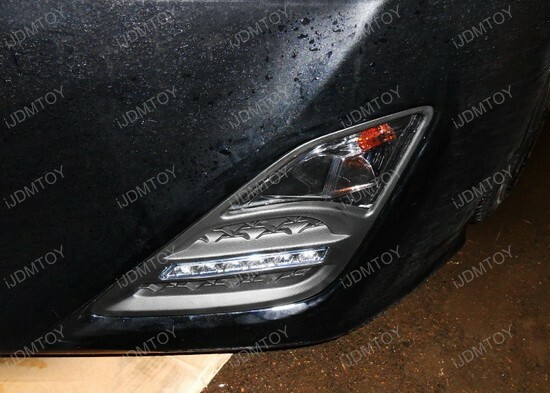 Using the supplied quick-taps, you can connect the wires to your parking or headlight positive wire so the light will turn off when those lights are on. 9.) 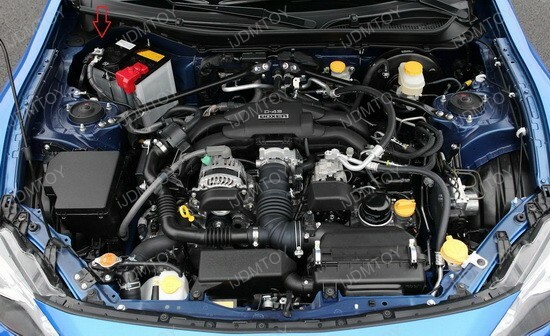 Using the supplied zip ties, clean up the wires inside the engine bay by tying them down to a secure location. Please make sure to avoid hot areas such as the radiator/engine/hoses. 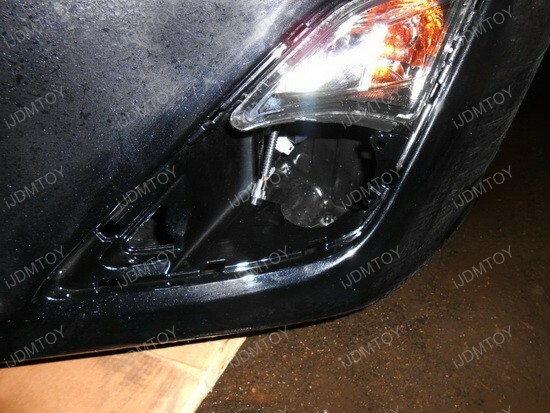 We recommend mounting it to the chassis. 10.) 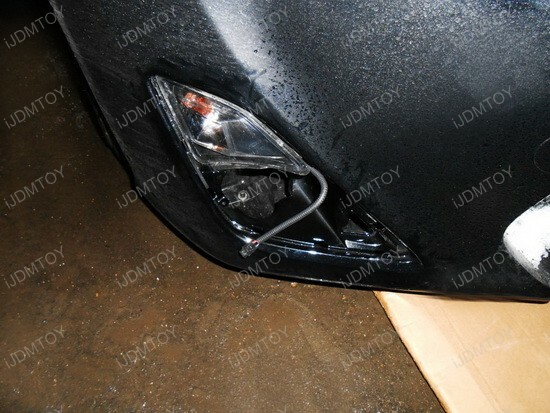 Enjoy your new Scion FR-S LED daytime running lights! Special thanks to “Honeydew” and “dttaz” of FT86CLUB for providing us the information and pictures of the installation.